Approximately 70% of total Canadian production is in Manitoba, with the balance in Ontario and Quebec. Varieties (From Manitoba Trade & Investment) Due to our market-oriented production of buckwheat, industry participants have made on-going efforts to develop suitable varieties for international markets. Researchers, Manitoba Agriculture, Food and Rural Initiatives extension staff, producers, processors and consumers all remain in close contact and work cooperatively to ensure suitable varieties of buckwheat are produced for the world markets. For example, the task of improving large seeded buckwheat is one of the current projects being undertaken and is largely being led by private industry. Canadian buckwheat industry players, representing all facets of the buckwheat industry (processing, growers, university, federal and provincial governments) have established an ad hoc committee called the North American Buckwheat Promotion Committee which serves as a technical advisory committee to the Canadian Special Crops Association (CSCA) Market and Development Committee. USES Buckwheat is generally grown for grain. The raw seed is exported from Canada to Japan and Europe for processing. In Japan, buckwheat flour is used in combination with wheat flour for the manufacture of buckwheat noodles, a traditional dish. The noodles, known as â? ?sobaâ?�, must have the desired flavor, which is imparted by new crop buckwheat. In North America, buckwheat has several main uses. 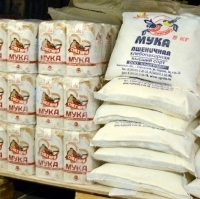 Primarily the grain is milled for flour and used by the food and baking industries. Buckwheat flour can be mixed with wheat flour for pancake mix. Botanical Name: Fagopyrum Esculentum Parts Used: Buckwheat, Bucwheat Hulls Packing : As per buyer requirement or Stranded packing for Export. Short on time? Let buckwheat sellers contact you. Lentils, peas, beans, chickpeas, soybeans, mustard seeds, flax seeds, millet, oat, canary seeds, barley, buckwheat, sunflower seeds, bird and animal feed, walnuts, pistachios, hazelnuts, cashews, almonds, cumin, fennel, coriander, chia, quinoa, hem seeds, spelt kernels. Our company can offer you a lot of kinds of cereals including certified Russian oatmeal, rye flour, buckwheat and wheat flour with a high quality. The product model: GOST 52554-2006 The Origin: Russia, Tyumen. Type: A Moisture: 12.4% Additives:2.50% Usage: Bakery, cake, biscuits If you need more detailed information, don't hesitate to contact us. Buckwheat Specifications : Admixture : 1% MAX Moisture : 8% MAX Purity : 99% MIN Loadability : 18 MT TO 19 MT PER 20’ FCL Packing : In new strong pp bags or bulk load loose in containers as per our buyer’s requirement. Buckwheat is mainly used as an ingredient in wild bird feed products. 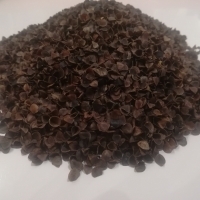 Organic Buckwheat Seeds : Product Code: Fwbw001 Origin: India Product Description: Buckwheat (fagopyrum Esculentum) Is A Pseudocereal Plant Cultivated For Its Grain-like Seeds Which Are Edible And Rich In Complex Carbohydrates. The Name 'buckwheat' Or 'beech Wheat' Comes From Its Triangular Seeds, Which Resemble The Much Larger Seeds Of The Beech Nut From The Beech Tree, And The Fact That It Is Used Like Wheat. It Is Actually A Fruit Seed That Is Related To Rhubarb And Sorrel, Making It A Suitable Substitute For Grains For People Who Are Sensitive To Wheat Or Other Grains That Contain Protein Glutens. The Fruit Is An Achene. Similar To Sunflower Seed With A Single Seed Inside A Hard Outer Hull. The Starchy Endosperm Is White And Makes Up Most Or All Of Buckwheat Flour. Product Is Organically Produced And Processed According To Current Good Manufacturing Practices, Haccp Norms And Regulations Npop, Nop & Eec 834/2007. Product Is Naturally Fumigated Through Ec02 Processing Technique. Raw cashew nuts, cocoa beans, cashew kernel, coffee beans, woods, raw rubber, mango, canada pulse and grain, lentils, wheat, beans, W320, W240, seeds, including lentils, peas, beans, chickpeas, soybeans, mustard seeds, flax seeds, canola, millet, oat, canary seeds, barley, buckwheat and sunflower seeds, vanilla, auto, vehicle. Natural buckwheat honey 1 kg-65$ Natural acacia honey 1 kg-40$ Honey from the mountains of the North Caucasus, all the laboratory tests and certification may be provided! 20 tons of buckwheat and 10 tons of acacia are available. Harvest 2018 The company has 2 branches--in Russia and UAE.